If you are like most business owners, you spend most of your time looking for a competitive edge. Finding a way to breeze past the competition is not nearly as easy as you may think. The first thing you need to establish when trying to make your business shine is an appealing website. If the website you have allows people to buy items, you need to make sure it is both secure and fast. Cloud web hosting is essential when trying to make a website fast and reliable. Are you interested in this type of hosting? If so, be sure to visit touchstone.hosting website for information on how they can help. Web hosting on the VMware cloud server offered by this company will allow you to keep your website working like a well-oiled machine. Here are some of the benefits that come with using cloud hosting. The amount of server uptime your site has directly relates to how fast it is. With a cloud-based hosting provider, you will be able to maximize the network uptime significantly. This will help to guarantee that your website stays functional even when there are a lot of people using it. Using one single server to power a website will usually lead to a lot of downtime and angry customers. Rather than dealing with the headaches this outdated form of hosting will supply, you need to embrace the power and convenience of cloud hosting. The money you spend on these cloud-based services will more than pay off in the long run. 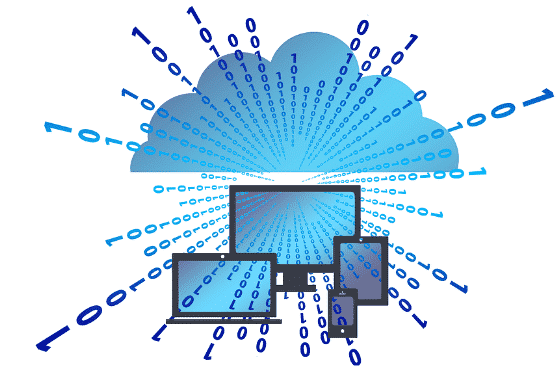 Cloud hosting your website will also allow you to only pay for the resources you need. With traditional server systems, there is a lot of upfront cost to set them up. Most small business owners will not have the capital needed to do things like invest in the construction of server rooms and large servers. Instead of paying an outrageous amount of money to set up a system that is basically obsolete, you can take advantage of cloud-based services instead. Before choosing a supplier for these services, you will need to do your homework. Finding out just how long they have been around and what type of track record they have. Once you have this type of information, you will be able to easily choose the right company to use. For most business owners, making sure their network and website are secure is a top priority. Every time you turn on the news there seems to be a story about a business being hacked. Instead of being just another notch on a hacker’s belt, you need to find a way to increase the cyber-security measures you have in place. With cloud website hosting, you will be able to keep the sensitive information you gather from customers safe. With this type of hosting, all of your software and security measures will be updated regularly. Most business owners get in trouble when they have to update these things manually. Outdated software is like a siren song to hackers. Rather than letting your information remain unprotected, you need to embrace cloud hosting today. When investing in cloud hosting, you will be able to instantly scale the bandwidth for your website with ease. As your business grows, your website will receive more visitors. Instead of having the website crash due to a lack of bandwidth, you can use cloud hosting instead. Speaking with the provider you have chosen will allow you to figure out how this process works and what the cost will be. Getting an understanding of what will happen when increased bandwidth is needed is essential. With the help of a cloud hosting professional, you should have no problem speeding up your website.